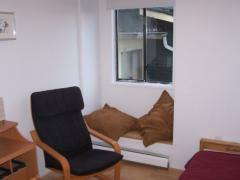 We have a three bedroom furnished suite in the basement with one rooms availbale to rent. My husband and I live upstairs. The bedroom has a queen size bed in it. 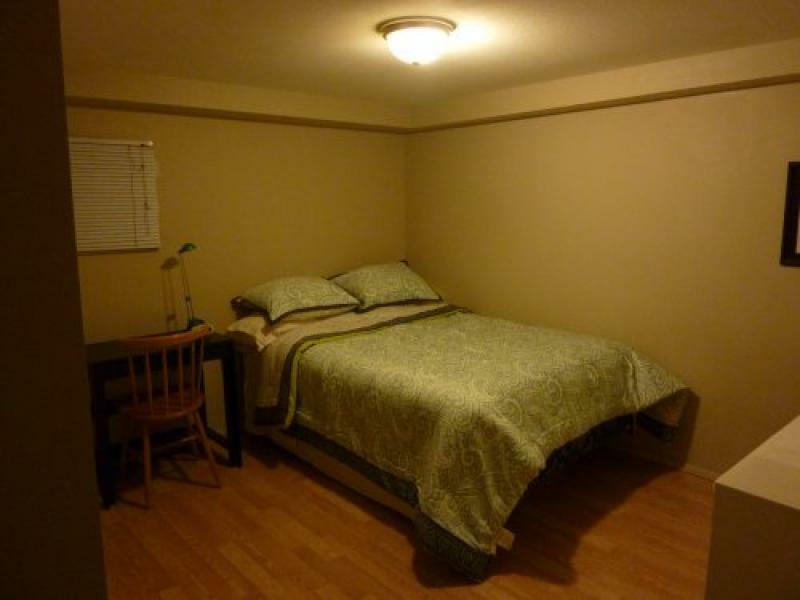 The suite has a private bathroom, fully stocked ktichen, and common area with large flat screen with loads of HD cable channels, high speed wireless internet, seperate washer and dryer for students downstairs. It also has its own seperate entrance. We are flexible with meal plans. Students must be comfortable living with both female and males students. Currently we have one 21 year old student who is originally from Mexico. He came to stay with us 2 and 1/2 years ago to study and is still with us working here in Canada. 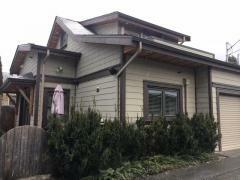 He is very nice and easy going and has lived with many other homestay students since he has been here. We are two blocks to bus stops with one bus straight to UBC in 20min and one bus to Downtown is 15 minutes. 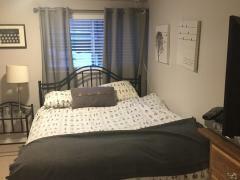 Queen sized bedroom with desk and chair & a private bathroom in a newer Laneway neighbourhood - Queen..